One point that needs to be made is that Jewish Scripture does not discuss the subject of evolution; rather, its world view assumes that God created the world. So, the biblical view of creation is not in conflict with science; rather, it is conflict with any world view that starts without a creator. Judaism has, at all times, valued Torah study, as well as other religious texts. The following is a basic, structured list of the central works of Jewish practice and thought. For more detail, research Rabbinic literature. The basis of Jewish law and tradition ("halakha") is the Torah (also known as the Pentateuch, or the first five books of the Jewish bible which are the Five Books of Moses). 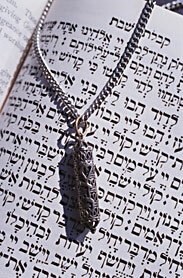 According to rabbinic tradition there are 613 commandments in the Torah. Some of these laws are directed only to men, or to women, some only to the ancient priestly groups, the Kohanim and Leviyim (members of the tribe of Levi), and some only to farmers within the land of Israel. Many laws were only applicable when the Temple in Jerusalem existed, and fewer than 300 of these commandments are still applicable today. 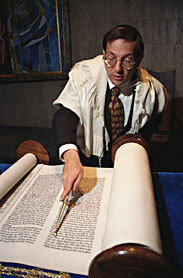 Rabbinic Judaism has always held that the books of the Torah (called the written law) have always been transmitted in parallel with an oral tradition. To justify this viewpoint, Jews point to the text of the Torah, where many words are left undefined, and many procedures mentioned without explanation or instructions. This, they argue, means that the reader is assumed to be familiar with the details from other, i.e., oral sources. This parallel set of material was originally transmitted orally, and came to be known as "the oral law." By the time of Rabbi Judah haNasi (200 AD), after the destruction of Jerusalem, much of this material was edited together into the Mishnah. Over the next four centuries this law underwent discussion and debate in both of the world's major Jewish communities (in Israel and Babylonia), and the commentaries on the Mishnah from each of these communities eventually came to be edited together into compilations known as the two Talmuds. 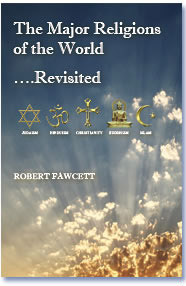 These have been expounded by commentaries of various Torah scholars during the ages. Halakha (the rabbinic Jewish way of life) then, is based on a combined reading of the Torah, and the oral tradition - the Mishnah, the halakhic Midrash, the Talmud and its commentaries. Over time, as practices develop, codes of Jewish law are written that are based on the responsa; the most important code, the Shulchan Aruch, largely determines Orthodox religious practice today.